We can strip clean anti-fouling coating, fiberglass, metal, and wood for paint, powder coating or fresh varnish. SANDBLASTING AND dustless blasting your boat. We can safely handle the project right in your marina, driveway, or shop, containing the media blast for easy clean up. Removal of anti fouling bottom coat. 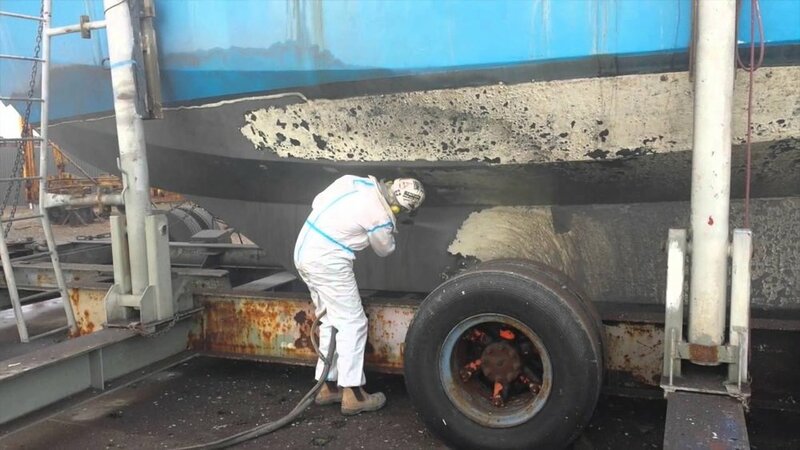 Removal of Antifouling boat bottom paint by dustless blasting. With our dustless blasting we can clean this up! Dustless blasting on the dry dock.